Apple's bombshell news—a sharply weaker revenue outlook and lower iPhone sales—has raised questions over the future of the California giant, which until recently had been seen as the undisputed innovation leader in the tech sector. Apple's rare admission on Wednesday cited steeper-than-expected "economic deceleration" in China and emerging markets and noted that trade frictions between Washington and Beijing were taking a toll on its smartphone sales. 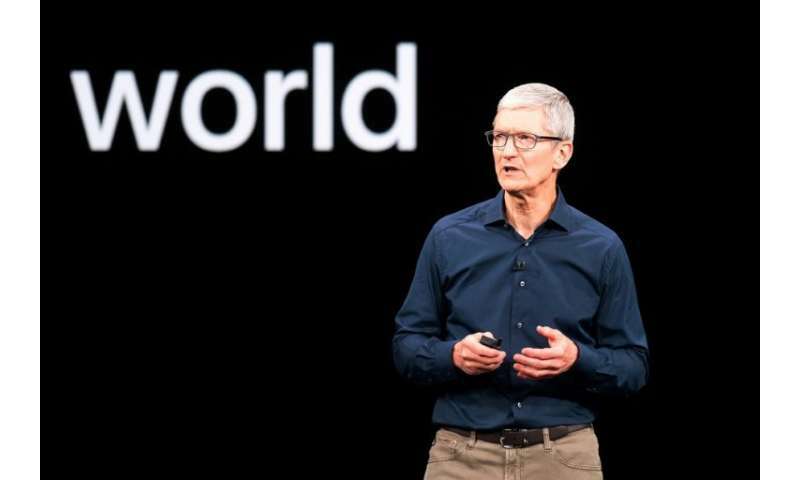 But the news raised questions on whether Apple—the first to reach a $1 trillion valuation and until recently the world's most valuable company—is seeing a bump in the road or is starting to slide back from its leadership position. 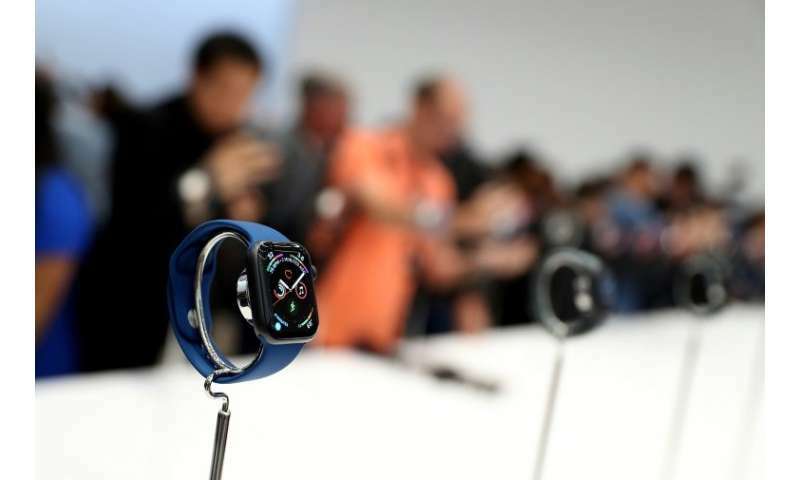 Some analysts point to Apple's dependence on iPhone sales to drive revenue and profits, even as it tries to diversify its product base and add services such as music and digital payments. "The iPhone has been supporting the company for more than a decade," said Roger Kay, analyst at Endpoint Technologies Associates. "The world isn't coming to an end for Apple but it's a major inflection point. Up to now, Apple has defied gravity by growing faster than any other company in the market, but mathematically it was impossible to beat the market forever." 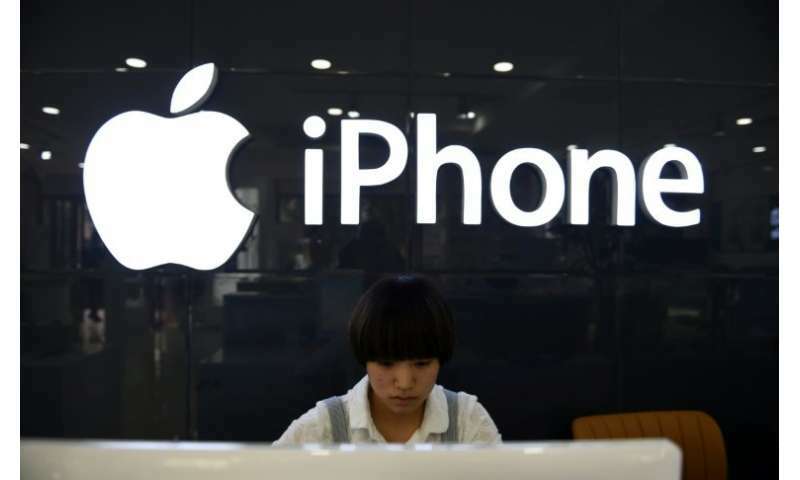 Apple said iPhone sales in China would be lower than forecast due to steeper than expected "economic deleration"
Kay said the trillion-dollar valuation was "irrational" and based on growth projections Apple is unlikely to achieve without a new catalyst. 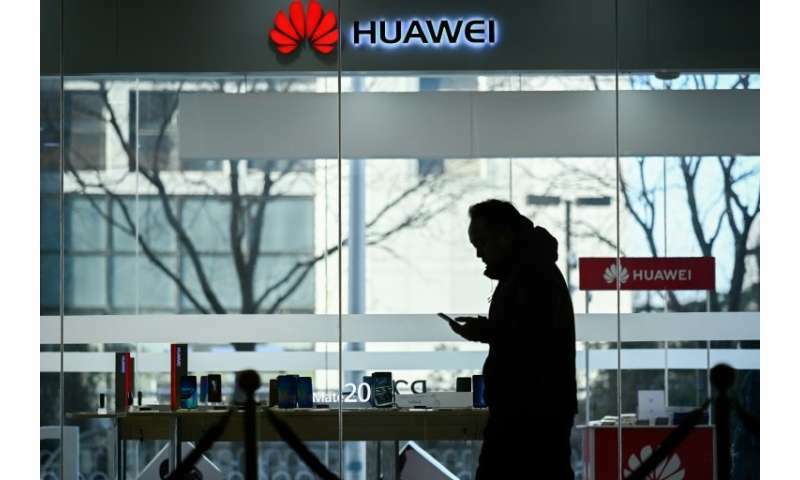 Apple, which has been growing in China even though it lacks a dominant position, is pressured by tariffs and other trade issues, further inflamed by the arrest of China-based Huawei's chief financial officer in Canada at the behest of the United States. The company slashed its revenue guidance for the first fiscal quarter of 2019, ended December 29, to $84 billion—sharply lower than analyst forecasts averaging $91 billion. "Apple stock is now at a crossroads," said a research note Thursday from Gene Munster and Will Thompson of the investment firm Loup Ventures. "Some investors will consider the stock broken.. but we've followed the company long enough to know there is cyclicality in the market's relationship with Apple." Munster and Thompson said it would take "a new product category," or large acquisition to allow Apple to regain its momentum. "I think the main villain is the very high prices that Apple is charging for its new iPhones," said Richard Windsor, a technology analyst who writes the Radio Free Mobile blog. The latest news sparked talk of the "Nokia moment" for Apple—a reference to the Finnish-based firm that led the mobile phone market in the early 2000s. But Windsor said: "I do not in any way think that this represents Apple's 'Nokia' moment simply because there is still nothing to seriously challenge the iPhone in the high-end segment." "I am not concerned for the company, but it's likely investors will not see the company value it was at until it can see a likely path to double-digit revenue growth," Moorhead said. ph annoyingmousie, you actually fell for the scam when your brokerage wheedled you into selling Apple short? Apple's error is to listen to the brainless noise about market share. Screw that crap. They should concentrate on their luxury brands & go for continuous quality upgrades. If I can't afford a Rolls Royce limousine with a factory certified chauffeur? Or, an Apple Superduperdeluxe eyecandy iphone? well v4v, if Apple = Garbage products? Their competitors must be pulling their products for sale to the suckers, right out of the cesspool!